Welcome to The Giving Seed where we make it possible for you to support your favorite community organization with your everyday purchases/searches from online retailers and internet search engines you know and trust! Retailers include such names as Amazon, Walmart.com, 1800-PetMeds, AT&T Wireless, Priceline.com, and Drugstore.com. 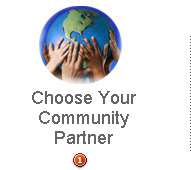 A portion of the proceeds of each purchase you do through Givingseed.com goes to the community organization of your choice. Here is what people are saying about The Giving Seed. “Partnering with The Giving Seed has been a seamless transition that has allowed us to expand the giving capacity of our supporters. Working with the visionary folks at The Giving Seed has enabled us to empower our followers without the ability to donate regularly, to contribute to our cause on a weekly basis. Providing this opportunity for our supporters has deepened their sense of ownership and commitment to our work, thus furthering our ability to create positive and lasting change in our community.” --Michael Leach, Executive Director of Yellowstone Country Guardians based in Gardiner, Montana. "Who would have known that when I get my prescriptions refilled online that I could not only save money but could also give to my favorite nonprofit at the same time. The Giving Seed is a no-brainer!" -- retired teacher, shopper for good. 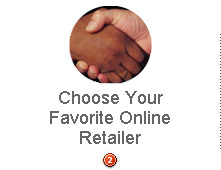 Select "go" to shop. Repeat as often as you would like to give.